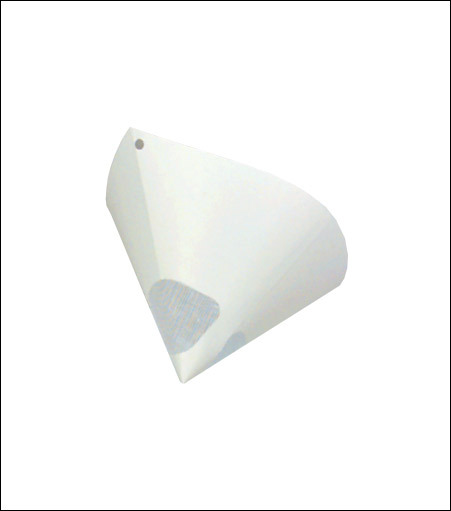 Paper cone paint strainer to filter varnish, paint and any solvents. This invention relates to paint strainers, and more particularly, to the field of paint strainers used in connection with paint sprayers. Presently, painters are straining paint by pouring paint from one container through a mesh into a second container. This requires a time consuming cleaning of the mesh before using the paint in a sprayer. Strainers are used in the paint industry are susceptible to clogging due to the small apertures used in the spraying apparatus to create a fine spray. Large particles such as dirt, undissolved resin and the like can clog the spray nozzles.